I find Milkweed so curious. The flowers’ scent is so intoxicating; an alluring sweetness that simply draws you in. But YOU can’t eat it. Not raw anyway. You can watch Monarch caterpillars munch on the leaves and butterflies sup on the nectar, but don’t you go doing that. 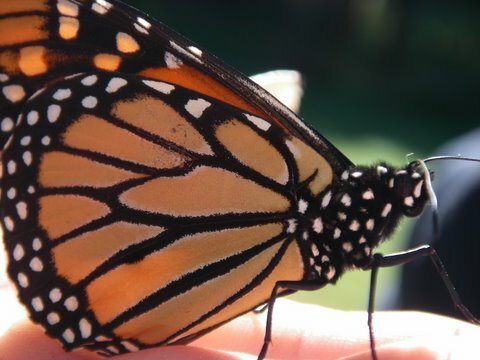 Monarchs – as a well as Queens and Viceroys – are immune to the toxin present in the Milkweed they are eating and this is why they are distasteful to would-be predators. How then is this a wild edible for us? Read on. To me, Milkweed has the same magical aura that the waters of Arrakis does. Do you remember Frank Herbert’s Dune? A Reverend Mother could convert the poisonous elements of worm bile in the water, on a molecular level within her body, transforming the toxin she ingested into the “Water of Life.” If she was successful in converting the poison that she consumed, she could then unlock her genetic memory and tap into the wisdom of those who came before her. Now, mind you, this is a fanciful comparison. It is unlikely that by consuming Milkweed you will unlock anything more than your appetite. But unlock it you can, if you trust that you can boil water and keep time. 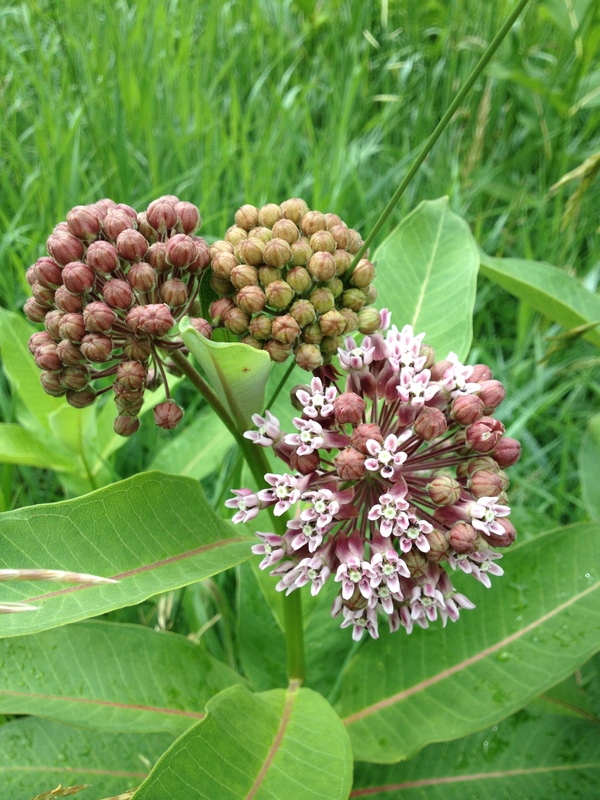 To prepare Milkweed properly, gather the clusters of flowers and buds. Ignore the sticky latex oozing out of the stem. (I am sorry if I am not making this sound appetizing – it really is.) 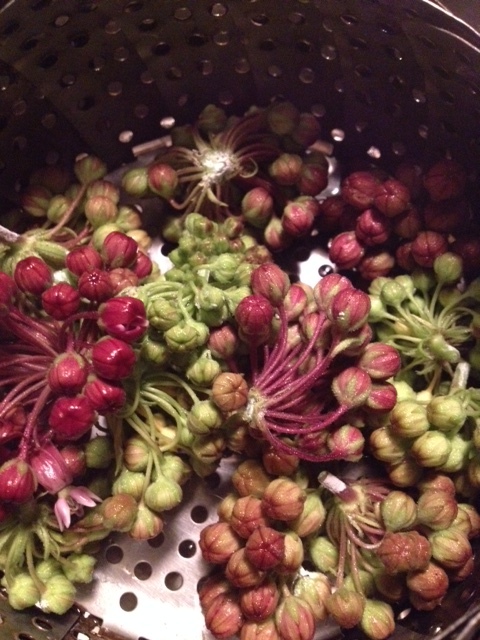 Boil or steam the clusters in a pot of water for 6 to 10 minutes. I have read colleagues’ suggestions and some say to steam, others to boil. Do what feels safest to you to start with. I prefer to steam the clusters. Discard the water. As with introducing any new food into your diet be sure to sample just a little – a small cluster – to see if it is agreeable to you. I have yet to hear of or see any allergic reactions and I have been sharing this plant with others for many years. 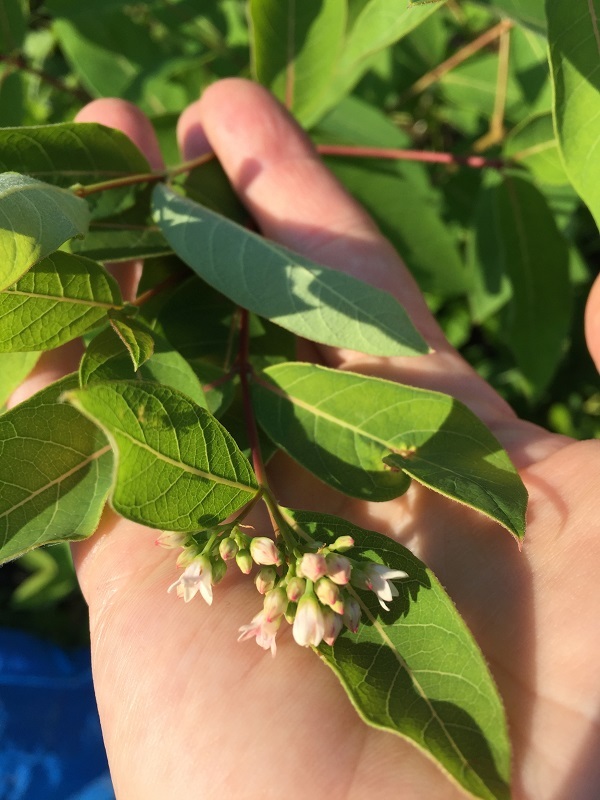 If you have read that milkweed needs to be boiled in multiple changes of water, please disregard those instructions as they are likely based on a perpetuated misidentification of the somewhat similarly-looking dogbane. This plausible misinformation was made famous by the beloved Euell Gibbons, author of Stalking the Wild Asparagus. His instructions for boiling milkweed shoots with several changes of water would reduce this poor green to mush. Many wild edible experts of today hypothesize that Gibbons misidentified (yes, it happens to the best of us) the plant and attempted to eat Dogbane. Dogbane – the bane of my upper field right now – is an entirely different species. Though it looks similar as a shoot to Milkweed, Apocynum cannabinum L. in the Dogbane family (Apocynaceae), has glabrous (smooth, hairless) stems that are quite thin compared to Milkweed’s thick hairy stem. Stalks are green to red. Small pink and white nodding flowers form a dainty panicle (uneven cluster). As with Milkweed, all areal parts of Dogbane also exude a milky fluid when broken. Both plants grow in similar habitats and you can find them growing together. But, whereas the Common Milkweed grows up straight, Dogbane tends to branch and appears wiry. I am going to venture a guess here: though both Dogbane and Milkweed contain cardiac glycosides, Dogbane may have more of the toxic compounds; even if you can cook them out, or most of them out, after several changes of water and boiling, residual compounds may remain. Either way, I have not come across Dogbane being at all edible, even cooked, so please don’t try this at home. Once you have successfully identified the Milkweed bud clusters in the summer you can sample the immature seed pods later in the season when they are about pinky size. Boil them for 10 minutes. Now that you know where the plant resides you can come back next spring and pick the sprouts like asparagus. Again, steam or boil 6 to 10 minutes. A three season wild edible; nutritious with potassium and iron. Milkweed can sprout from seed but also grows through its rhizomes so once it’s in a field, the patch is unlikely to be uprooted. After cooking, you can eat Milkweed buds, flowers, immature pods, and sprouts plain or with butter. I find that the flavor of Milkweed is reminiscent of artichoke. YUM! Throw them into a food processor with oil and garlic and turn the concoction into a veggie dip. Yes, very nice! Now go eat your greens! As mentioned earlier, Monarch Butterflies, a specie in decline, needs the native Milkweeds to survive. Monarch caterpillars only eat Milkweed leaves, so it’s important to keep this plant around. It’s beautiful and sweet smelling and it makes a lovely addition in your garden. So while you are enjoying a few steamed greens for yourself, be sure to leave several stalks for the Monarchs. Arianna Alexsandra Collins, naturalist, poet, and wild edible enthusiast lives in Ashfield, MA. This article appears in the Ashfield News July 2016 edition. This entry was posted in Natural History, Natural Science and tagged Arianna Alexsandra Collins, Asclepias syriaca, Dogbane, Dune, Milkweed, Reverend Mother, water of life, Waters of Life, wild edible, Wild edibles. Bookmark the permalink.